Welcome to Smarter Futures | Smarter Futures is a public-private-civic partnership that supports similar partnerships of flour millers, governments, vitamin and mineral suppliers, international organizations, and academic institutions to make fortification of wheat flour a reality in Africa. The aim of Smarter Futures is to improve health in Africa through the enrichment of wheat and maize flour with essential vitamins and minerals. On February 26-27, the Smarter Futures Steering Committee held their face-to-face meeting in Hamburg, Germany, hosted by partner Mühlenchemie. The second day of the meeting took place at their FlourWorld Museum Wittenburg. Participants discussed the current status of fortification programming in each country in Africa led by FFI Deputy Director Laura Rowe, FFI Director Scott Montgomery presented on scaling up rice fortification in West Africa, Claudio Benvegnu from Nouryon walked through a brief history of AkzoNobel, the new company Nouryon, and their NaFeEDTA product, which was followed by a discussion on the need for global guidelines for quality NaFeEDTA. IF Secretary Lieven Bauwens led a discussion on the extremely high rates of neural tube defects (NTDs) Ethiopia is experiencing. 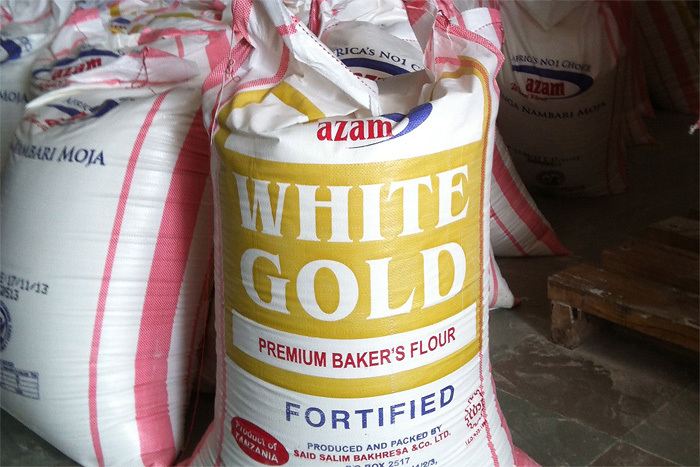 Current fortification efforts, which provide folic acid (along with other nutrients) through wheat flour, have only been voluntary to date with a standard approved by the government in 2018. The group discussed the current recommendation by Dr. Godfrey Oakley to add folic acid to Ethiopia’s iodized salt. A meeting will be held in April with the government in Addis to explore this and other suggestions. 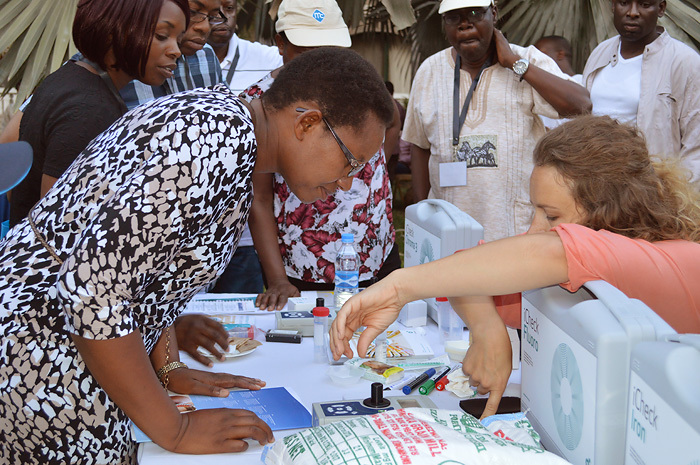 2019 marks the 10-year anniversary of the Smarter Futures partnership in which Nouryon collaborates with the International Federation for Spina Bifida and Hydrocephalus, Helen Keller International, and the Food Fortification Initiative to improve and increase availability of fortified wheat, maize flour and rice that meets quality and nutrition standards in Africa. 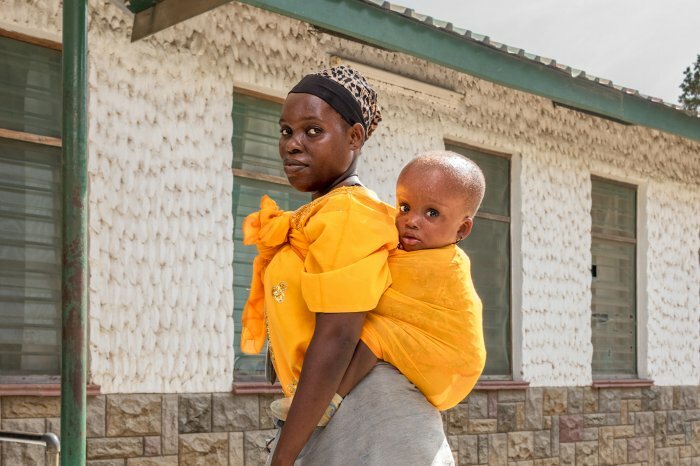 The aim of the partnership is to improve the health of women in childbearing age, adolescents (especially girls) and younger children in Africa who suffer greatly from iron and folate deficiency. The most efficient way of preventing and treating iron deficiency anemia is through fortification of food products with vitamins and minerals that can be readily absorbed by the body. Folates are essential to prevent birth defects. Nouryon can provide one of these vital ingredients, an iron compound, as ingredient to enrich wheat and maize flour. Together with our partners we provide technical support & training to facilitate prevention measures, thereby improving the quality of life for those facing these challenging circumstances. 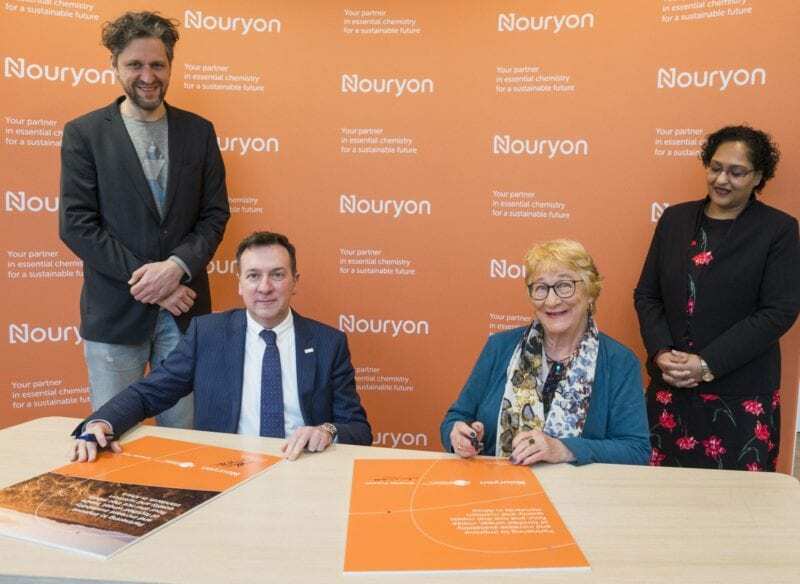 Nouryon was the first industry and founding partner to Smarter Futures. We are incredibly proud of our long-lasting partnership and are pleased to see that we have successfully expanded Smarter Futures to connect with even more partners. We strongly believe in the power of working together as partners to truly make a difference in Africa. 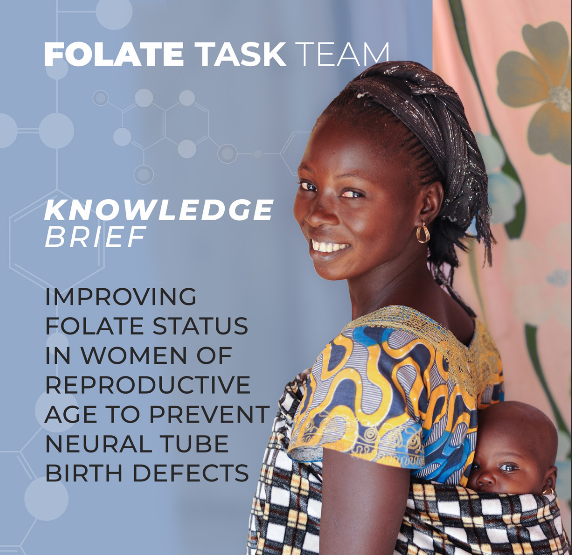 In 2017, a Technical Consultation was spearheaded by the Micronutrient Forum, with support from the Bill & Melinda Gates Foundation, to advance the neural tube defects (NTDs) prevention in low- and middle-income countries through improved folate status in women of reproductive age. 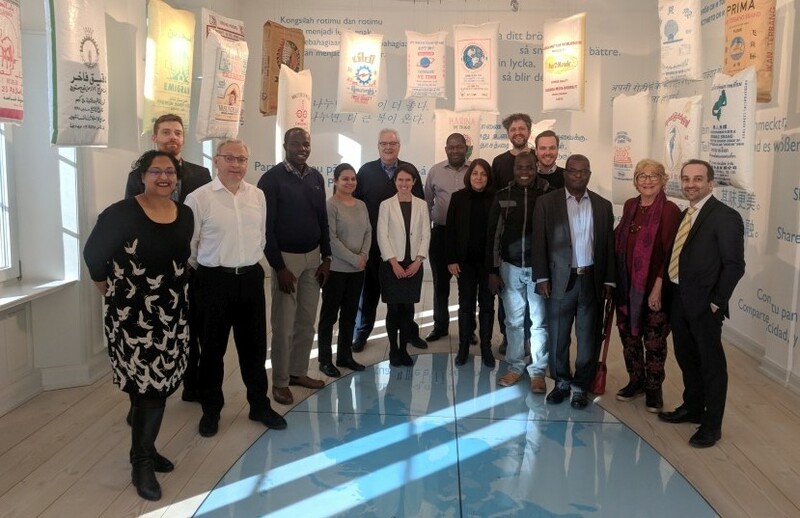 A group of international experts from a wide range of disciplines produced a roadmap for global action on reducing the risk of NTDs world-wide. The findings of the Technical Consultation were published in July 2017. Now this year, Nutrition International has produced a Knowledge Brief with a summary of the findings and the roadmap for action. Also, clear take away messages are outlined for decision makers, researchers and the public. Smarter Futures partners the Food Fortification Initiative (FFI) and the International Federation for Spina Bifida and Hydrocephalus (IF) were both involved in the Consultation Review Process and FFI Director Scott Montgomery, FFI Communications Coordinator Sarah Zimmerman and IF Secretary General Lieven Bauwens were acknowledged for the inputs and information they provided. In addition, Scott Montgomery, Lieven Bauwens and FFI Africa Network Coordinator Ronald Afrida contributed to producing the Knowledge Brief. From October 8-10, 2018, the Southern African Development Community (SADC) and the Ministry of Health in South Africa, with support from UNICEF and Smarter Futures, hosted the Regional Consultative and Capacity Building Workshop on Strengthening Food Fortification Programmes: Monitoring and Surveillance Systems in Johannesburg. This workshop provided SADC Member States with an opportunity to consult and share lessons on the application of the previously learned quality assurance and quality control (QA/QC) approaches with regard to food fortification, within the SADC context. During the workshop good practices were shared related to food fortification regulatory monitoring, and the SADC secretariat introduced its efforts to develop regional food fortification minimum standards. Participants also received information about monitoring and surveillance tools such as FortifyMIS and FORTIMAS. Further objectives, additional information, the agenda and a full report can be found on the website of the Food Fortification Initiative. On behalf of the World Health Organization (WHO), FFI’s Training and Technical Support Coordinator Quentin Johnson presented a cost-benefit analysis for flour fortification in Sudan. A modelling tool was used, which was especially designed to make the economic case for wheat flour fortification. WHO Representative Dr. Naeema Al Gasseer stated that the study result has demonstrated that investing $1 in wheat flour fortification has the potential to return $15 to the economy of Sudan. She further explained that this is due to improved cognitive ability in children and future productivity and improved working performance in the current adult population. The addition of folic acid to flour will help to reduce the incidence of neural tube defects in newborns. Quentin Johnson said “This is the first time that I have seen three ministers of the government of the country publicly support the implementation of flour fortification in the same meeting“. A new study looks at the readiness of selected national laboratories to test fortified foods and the accuracy of their results. Dr. Philip Randall, a senior technical expert in food quality and safety, did take on this endeavor in 2016-2017. The capacity of laboratories to measure fortified foods was assessed by how many signed in to participate in the study compared to how many managed to deliver the results in time. The samples used in this study included key staple foods such as wheat and maize flours, sugar, edible oil and table salt. The micronutrients measured were vitamin A in oil, iodine in salt, vitamin A in sugar and iron with vitamin A in wheat and maize flours. The study has been supported by Global Alliance of Improved Nutrition (GAIN) and funded by The Government of The Netherlands. This BioAnalyt article offers a quick look into key learnings and recommendations of the study. If you want to more information about this study you are welcome to contact the lead investigator Dr. Philip Randall at p3away@mweb.co.za. 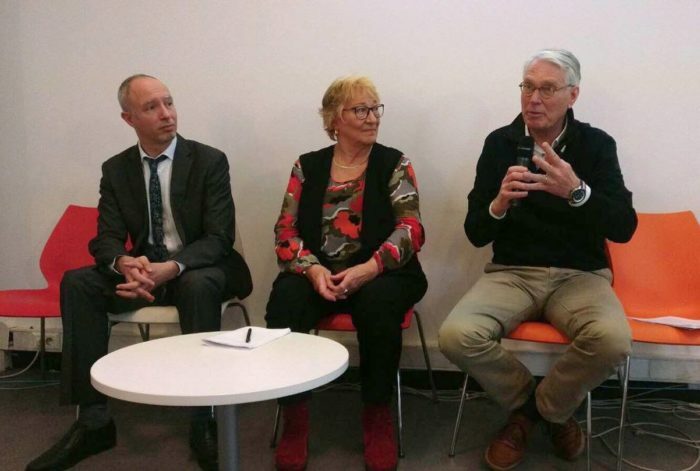 On February 15th, the European Commission, International Cooperation and Development, hosted a lunchtime conference ”Food Fortification: Scalable approaches to prevent micronutrient deficiencies in populations’‘ at its External Cooperation InfoPoint in Brussels. Presentations were made by Anna Verster, Senior adviser on food fortification and Smarter Futures project coordinator, Saul Morris from GAIN and Paulus Verschuren from HarvestPlus. They discussed the key factors and global experiences in effective and sustainable implementation of biofortification, large scale flour/rice fortification, and fortified complementary foods, as public health interventions. Food fortification aims to contribute to reduction of the prevalence of micronutrient deficiencies. Reducing folic acid deficiency through large scale food fortification with this essential vitamin can significantly contribute to reducing the prevalence of neural tube defects worldwide. Anna Verster, on behalf on Smarter Futures, highlighted the work done by IF in promoting folic acid fortification to reduce the incidence of neural tube defects. Her presentation is available here. 31st December 2017 marked the end of the current Smarter Futures project. We have submitted a request for funding for the coming 4 years to continue working with you. As many of you have noticed, we are currently undergoing an evaluation to see what are the Smarter Futures strengths and weaknesses and where we should focus our efforts in the coming years. The Smarter Futures team herewith would like to express its heartfelt gratitude to all of you, partners, country participants, industry participants who agreed to be part of the evaluation process. Many of you have been interviewed, have participated in the online survey and have in other ways contributed to the process. THANK YOU SO MUCH!!! We will keep you posted and hope to soon share with you our 2018 work plan. Check out our News Archive for older updates. Smarter Futures is a public-private-civic partnership that supports similar partnerships of flour millers, governments, vitamin and mineral suppliers, international organizations, and academic institutions to make fortification of wheat flour a reality in Africa. The aim of Smarter Futures is to improve health in Africa through the enrichment of wheat and maize flour with essential vitamins and minerals.